Enter the color you want for ribbon and crystals or pearls or if you'll send beads that you want used. I will contact you with the address for you to send me your lace. If a photo or wording is to be used on the other side, you can upload in a message. 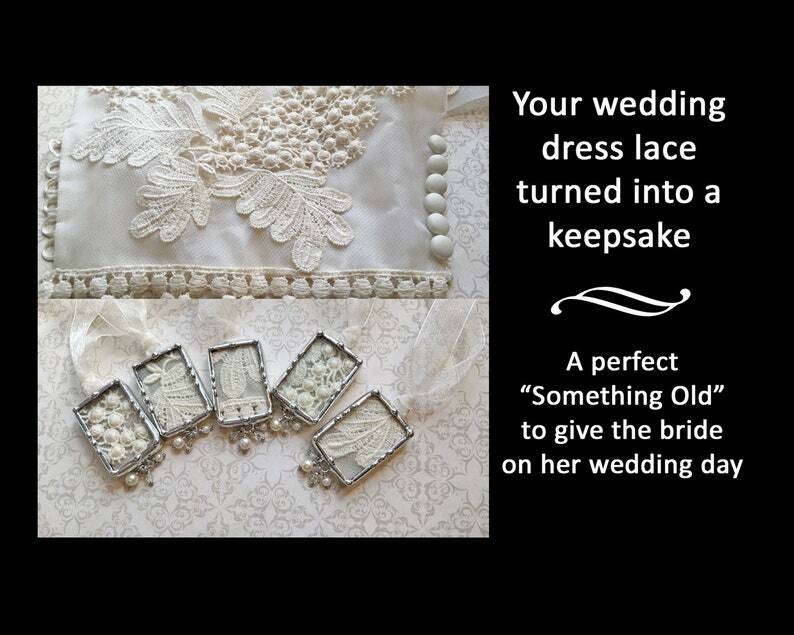 Pass on a piece of your wedding lace for the Bride to carry in her bouquet. 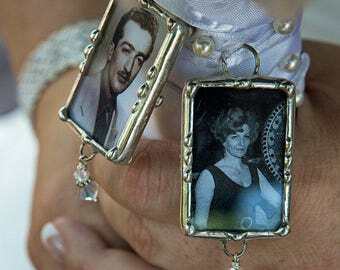 Truly a unique heirloom piece and a gift of something old for Grandmother or Mother of the bride to give for her special day. This one measures 1"x1.5" rectangular but I can also do it in a 1"x1" square. Once your order is placed I will contact you with instructions. I can add a photo or wording to the other side for an additional charge.